Christian greetings in the precious Name of our Lord Jesus Christ; we welcome your fellowship around God's unchanging Word in 2019. May this New Year see you blessed with prosperity in the faith of Jesus Christ, soundness of body, mind and soul, a clear compass of the divine will and the grace of overcoming power for the trials we expect in moral and material decline toward global depression and economic collapse. I believe the period between Nisan 14, 2019 and Nisan 14, 2020 will see Christ's end-time Bride blossom to maturity in the unity of the faith in preparation for the manifestation of the Sons of God and the great translation following the close of the Christian dispensation. The world and its fiat monetary system is confronted by immense debt and insufficient time to repay either the principle or interest imposed by the alien-controlled world Monetary system and the best politicians money can buy. We have a slender selection of news items and a very important main article which deserves to be read patiently and carefully, then re-read, and read again as you "prove all things" in your own Bible, the Message of William Branham, and the most truthful objective resources. January 8, 2019 — The signing of the Tomos or note of Autocephaly for the newly created Orthodox Church of Ukraine is not a church but a political act which may have catastrophic consequences for Ukraine" said the head of the Russian Federation Council's international affairs committee, Konstantin Kosachev, on Saturday January 6, the day the document was issued. "This is a new move towards destroying the unity of Orthodoxy, the consequences of which will be catastrophic, first of all for Ukraine itself and its people". One of the worst crises in the history of Christianity was the split between the Church centred in Rome and the Church centred in Constantinople, between the west and east regions of the old Roman Empire, that took place in the year 1054. Today, the NATO military alliance and its vassals in the Kiev regime in Ukraine have forced a further split within the Eastern or Orthodox Church by setting up a separate Orthodox church in Ukraine that rejects the age-old authority of the Moscow Patriarchate with authority over the churches in Ukraine and purports to set up a separate Orthodox Church in Kiev. Comment: Daniel 2:41-45; Zechariah 14:1-2; Revelation 13:15-18. January 8, 2019 — On December 31, The Times described a CIA-sponsored Afghan strike force that operates "unconstrained by battlefield rules designed to protect civilians, conducting night raids, torture and killings with near impunity" . . . journalist Mujib Mashal cites an October 2018 United Nations report that raised concern about "consistent, credible accounts of intentional destruction of civilian property, illegal detention and other abuses" . . . the CIA "are actively pushing people toward the Taliban" and when few US military troops remain, "the [CIA-led] strike forces are increasingly the way that a large number of rural Afghans experience the American presence" . . . "no difference between the CIA-sponsored force and the Islamic State . . ."
Comment: Big Brother knows where you live, where you have been, and where you are every minute of the day. January 7, 2019 — Students in Perth, Australia, are being introduced to a controversial new curriculum that encourages children to "explore" gender roles and dress up in religious clothing . . . the "Respect Relationships Program" . 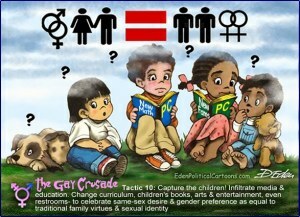 . . teaches third grade students to break traditional gender norms through toys and games. Comment: This is abomination to God today "as it was in the days of Lot" (Genesis 18; Luke 17:28-30), and the besetting sin of "the days of Noah" is still genocide to Adam's race (Genesis 6:1-13; Matthew 24:37). Paul wrote to the Hebrews (3:12-19), "Take heed, brethren [in view of the conduct of rebellious Jews and of their fearful doom], lest at any time there be in anyone of you [as in your ancestors before you] an evil unbelieving heart [that will engender apostasy through a want of confidence], falling away from the living God. So encourage one another daily, as long as it is still called Today; lest any of you be hardened through the deceitfulness of sin." We must discern between sure faith and persuasive psychology. Men pleasers often feel it is of little consequence whether they have faith or not, provided their outward conduct is right; hence they do not acknowledge the propriety of what Scripture says about the consequences of unbelief. But what do they say about a want of confidence between a husband and wife? Are there no evils in that? What husband can sleep with quietness if he has no confidence in the virtue of his wife? What child can have peace who has no confidence in a parent? How can there be prosperity in a community where there is no confidence in a bank, or where one merchant has no confidence in another; where a neighbour has no confidence in his neighbour; where the sick have no confidence in a physician, and where in general all confidence is broken up between man and man? Always working under another occupation and in a different name the "enmity" God set between the seed of the Serpent and the seed of the first and the last Adam is producing the same want of confidence between man and man which is now between man and his Maker (Genesis 3:15). "For we have become partakers [in Spiritual union] with Christ if we hold fast the beginning of our confidence firm until the end; while it is said, Today if you hear His Voice, do not harden your hearts as when they provoked Me. For who provoked Him when they had heard? Was it not all who came out of Egypt led by Moses? And with whom was He embittered forty years? Was it not with those who disbelieved, whose carcases fell in the wilderness? And to whom did God swear that they should not enter into His rest, but to those who were disobedient? So Israel did not enter the Pentecostal rest in 1405BC because they were rooted in unbelief"? When will we learn to be obedient, "prove all things [by the Absolute of God's unchanging Word, and] hold fast that which is good?" For perhaps three thousand years Bible maps depicting the journeys of the children of Israel from Egypt to Canaan have been false as to the route of the Exodus and the true location of Mount Sinai (Exodus 2:15-3:1, 12; 4:19; Galatians 4:25). All seven Church Ages of PART-Word are fulfilled and Christ is no longer a Mediator interceding for ignorance because today by God's help we have the perfect interpretation of the Word with Divine vindication. The Bible is unsealed and "the mystery of God is finished" (I Corinthians 13:10; Revelation 10:7). God twice displayed this promised heavenly Sign (Psalm 19:1-5; Daniel 7:9; Revelation 1:14; 10:1-4) yet non-elect pastors and brethren neglecting to study this phenomenon have rejected the Prophet and his Message which is Christ Himself. 1. God entered His rest on the seventh day. His is an eternal rest but His Word had not yet manifest the things He had made (Genesis 2:1-7). "Let me ask you, Are the thoughts of God eternal? God is infinite in His abilities so therefore He as God must be omniscient. If He is omniscient, then He is not now learning, nor is He taking counsel even with Himself, nor is He at any time adding to His knowledge. If He can add to His knowledge, He is not omniscient . . . He IS omniscient. He has never had a new thought about anything because all His thoughts He has always had and always will have; He knows the end from the beginning because He is God. THUS THE THOUGHTS OF GOD ARE ETERNAL. THEY ARE REAL. They are not simply like a man with a blueprint he has drawn up and which one day will be translated into substance and form, they are already real and eternal, and part of God" (An Exposition of the Seven Church Ages, p. 149:2-3; Romans 8:28-39). 2. Israel was given rest on the Day of Pentecost under the Law en-route to Canaan (Exodus 19). Israel should have journeyed to the border of the Promised Land from Mount Sinai in 11 days (Deuteronomy 1:2), a precise number; they failed because of unbelief. They left Sinai on the twentieth day of the second month and God intended them to arrive at the border on the first day of the third month, Sivan, which was the anniversary of their arrival at Sinai exactly one year earlier (Numbers 10:11). This leads us to speculate that after three days of sanctification, as they cleansed themselves at Sinai (Exodus 19:14-16; 24:4, and ultimately Joshua 3:1-5; 4:19), they would then have crossed the Jordan to Jericho and the feast of Pentecost, typing the three Church Ages of the Reformation before the Seventh Seal introduced Christ, and we crossed over our Jordan into the fullness of the Word and our Holy Convocation (The Restoration of the Bride Tree, p. 75:6 - 76:2). Pentecost is the sixty-fifth day of the year, the fifth day of the third month. Seven-weeks will be counted from Nisan 16 to the holy convocation of the fiftieth day and the antitypical resurrection. 3. The Church entered rest at her inauguration on the Day Pentecost (Acts 2:1). 4. Brother Branham restored "the faith once delivered to the apostolic saints" and introduced the second or (Gk.) 'parousia' Coming of our Lord Jesus Christ in W_O_R_D form in the revelation of the Seven Seals for the antitype of the rest or holy convocation of the fiftieth day of Israel's Pentecostal feast (Leviticus 23:15-21; Malachi 4:4, 6b; Matthew 17:11; 25:6; I Thessalonians 4:16; Revelation 10:7). 5. Christ's end-time Bride is anticipating a millennium of rest in the near future (Isaiah 24:22; II Peter 2:4; Revelation 20:1-8). Brother Branham said, "Based on these seven visions, along with the rapid changes which have swept the world in the last fifty years, I PREDICT (I do not prophesy) that these visions will have all come to pass by 1977. And though many may feel that this is an irresponsible statement in view of the fact that Jesus said that "no man knoweth the day nor the hour." I still maintain this prediction after thirty years because, Jesus did NOT say no man could know the year, month or week in which His coming was to be completed. [This threefold PROCESS described by Paul in I Thessalonians 4:13-18 will be completed for Christ's end-time Bride under the Seventh Trump following the type in Matthew 27:50-53]. So I repeat, I sincerely believe and maintain as a private student of the Word, along with Divine inspiration that [the jubilee of] 1977 ought to terminate the world systems and usher in the millennium". Because God is the Word He is infinite: His Word cannot fail and He can never change His ways. Deuteronomy 29:29: "The secret things belong to the Lord our God: but those things which are revealed belong to us and to our children forever, that we may do all the Words of this Law." Since 606BC the Israelites had been apprised of the hour, day, week, month, year and place of Messiah's crucifixion without Jerusalem on the evening of Nisan 14, AD30 (Exodus 12; Deuteronomy 16:5-6; 29:29; Daniel 9:1-2, 24-26). Likewise Christ's end-time Bride, typed by John the Divine, knows that we all entered the 'rapture' and were caught up in the Spirit in the Lord's Day between about nine and ten on the morning of March 8, 1963 when the constellation of Angels appeared over Mount Sunset, forty miles north-east of Tucson Arizona. And Brother Branham was caught up into "the great cloud of witnesses . . . to the city of the living God, the heavenly Jerusalem, and to an innumerable company of angels, to the general assembly and Church of the firstborn, which are written in heaven, and to God the Judge of all, and to the spirits of just men made perfect" (Hebrews 12:1, 22-23; Revelation 1:10; 3:22-4:2). This was prophesied in the vision of December 22, 1962 and recounted on December 30 in the sermon, "Is This the Sign of the End, Sir?" You were in that theophany, as you were present in theophany when Jesus Messiah the Lion of the Tribe of Judah claimed the Book of Redemption and loosed its Seven Seals (Revelation 5:4-14). "Now faith is the title-deed of things hoped for, the evidence of unseen reality," and we have been apprised of the day, week, month, year of the first resurrection of Christ's Bride although "that day and hour" may be uncertain owing to calendar differences and weather. The world monetary system set up at Bretton Woods, New Hampshire in 1944, established a system of rules, institutions and procedures; these accords established the International Monetary Fund (IMF) and the International Bank for Reconstruction and Development (IBRD), now part of the World Bank (WB). The United States, which controlled two thirds of the world's gold, insisted the Bretton Woods system rest on both gold and the US dollar. Soviet delegates attending the conference later declined to ratify the final agreements, charging that the institutions created were "branches of Wall Street." These organizations became operational in 1945 after a sufficient number of nations ratified the agreement. On August 15, 1971, the United States unilaterally terminated convertibility of the US dollar to gold, rendering the Bretton Woods system inoperable, so that by 1973 it was replaced by a de facto regime of floating fiat currencies that remains in place to the present day (Newsletter 926). The Money Power is the sole world system that overrules globally. However the world church system of Judaeo-Roman Catholicism and Protestantism will control the whole wealth of the world system and force the whole earth into its religious trap, or will kill them, by refusing the privilege of buying and selling whereby they would make a living [Daniel 7:19-26; 9:27; Revelation 13:15-18]. [The UNITED STATES is not a country, it is a federal corporation as stated under US code 3002 section 15 part a, and a continuation of the Virginia Company. Washington DC was created in 1871 based on debts owed to foreign entities such as the royal chartered Hudson Bay Company and the royal-owned Belgian government as stated in the 1871 District of Columbia Organic Act. Do you see what the Vatican and the banksters of the City of London have in store for all nations except perhaps Russia and China, for the nations are all corporations registered with the United States Securities Exchange Commission. 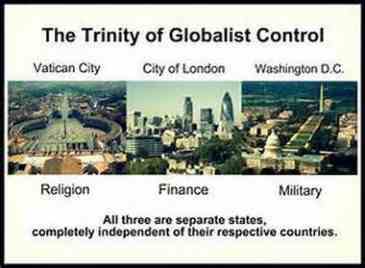 Also in 1871, Albert Pike completed his military blueprint whereby Lucifer's one world government will be established following three World Wars. World Wars I and II are history; I expect the 'hot stage' of World War III will ignite at Easter 2020]. 1977 terminated the world church system when Christ's end-time Bride reached the age of accountability and began to receive the revelation of the end-time Message, Brother Branham's "third pull." We now know the year, month and week in which His Coming will be completed and anticipate the resurrection of the New Testament saints to commence three days after Nisan 14 which will be April 8, 2020. The Great Pyramid is God's second Bible. God inspired its design to His prophet Enoch who was translated sixty-nine years before Noah was born. In "The Antiquities of the Jews" Josephus said: "[Seth's posterity] were the inventors of that peculiar sort of wisdom which is concerned with the heavenly bodies, and their order [God's first Bible, the Witness of the Stars]. And that their inventions might not be lost before they were sufficiently known, upon Adam's prediction that the world was to be destroyed at one time by the force of fire, and at another time by the violence and quantity of water, they made two pillars, the one of brick, the other of stone: they inscribed their discoveries on them both, that in case the pillar of brick should be destroyed by the Flood, the pillar of stone might remain, and exhibit those discoveries to mankind; and also inform them that there was another pillar of brick erected by them. Now this remains in the land of Siriad [Egypt] to this day." Like our Bible in paper and ink, the Bible in Stone foretells the story of God changing His form or unfolding Himself from the eternal Spirit alone with His thoughts to the stature of the Perfect Man (Ephesians 1, 2 and 4; I Peter 2:1-8; Revelation 3:14), the flesh of His glorified family, the many-membered Body of Christ wherein God will be worshipped throughout eternity by those who are the "saved." Measurements of the Great Pyramid prophesy Biblical chronology that astronomers can confirm by "The Witness of the Stars" which is forever "settled in heaven" (Psalm 119:89; Malachi 3:6; Hebrews 13:8). 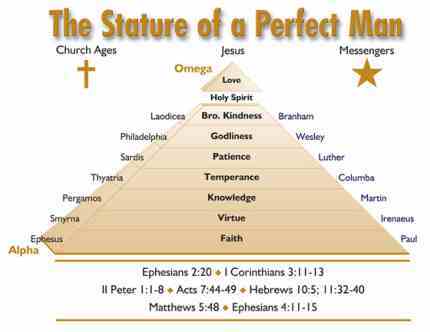 Its passages and geometry identify the ministries of Abraham, Enoch, Noah, Moses and the Old Testament prophets, as well as the Church Age Messengers, and Brother Branham who introduced Christ's second or (Gk.) 'parousia' Coming in the seventh step at the fiftieth level of masonry, which is our jubilee and the King's Chamber. Turning the diagram to the right you will discover the date of the Deluge that marked the end of "the first tragic era" prophesied by Adam, Enoch and Noah. The entrance to the descending passage pointed to the Polar star, Draconis when it crossed the meridian below the North Pole in 2170BC. Draco or Draconis represents "the Dragon, that old Serpent, called the Devil and Satan, which deceives the whole world" (Revelation 12:9). The descending passage leads to the pit and destruction. The call of Abram began the Patriarchal Age (Genesis 3:1-4; Galatians 3:8) and the Exodus made Israel a nation. The low ascending passage in which one must stoop signified the works of the Law. As indicated, Israel was first soiled by idolatry and breach of God's Covenant, and again when it blasphemed at Kadesh-Barnea causing the adults to be blotted from the Book of Life. Three bands through which each Israelite must pass in order to progress up the ascending passage represent justification, sanctification and the baptism of the Holy Spirit under the Old Testament. Christ's Crucifixion fulfilled the Law at the level of the Queen's Chamber; here Israel's high priest, Edomite self-styled Jews, and many true Israelites were blotted from the Book of Life, condemned to the pit, and bound for the Lake of Fire (Psalm 69:28; Matthew 27:25). The Great Pyramid's chronological representation depends upon the angle of the passages. The "Christ angle" is that at which the Queen's Chamber floor intersects the Ascending Passage. 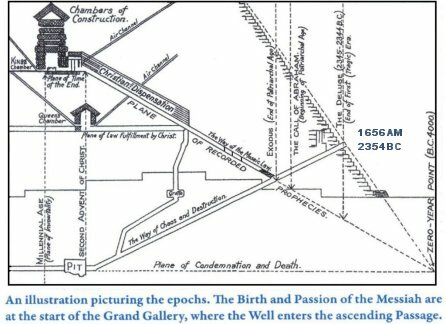 This is 26 degrees, 18 minutes, 9 seconds and as it opens to the Grand Gallery it creates a triangle depicting the life of Christ in terms of pyramid inches. If projected north of east from the site of the Great Pyramid it points to where Israel crossed the Red Sea. It will bisect Bethlehem where Christ was born, and if extended, point to the Jordan River where Israel followed the Ark into the Promised Land and where Jesus was baptized by John. 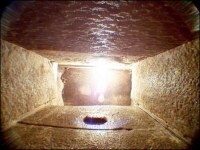 The Queen's Chamber may represent Israel whose destiny is portrayed on a lower level than the King's Chamber which represents Christ's Bride. The remainder of the ascending passage represents the Christian dispensation whereunder grace men stand tall, overshadowed by the corbelled walls, seven overlapping stone steps representing seven Church Ages. It takes us to the plane of the second advent or (Gk.) 'parousia' Coming of our Lord in W_O_R_D through the lips of the seventh angel William Branham, at the fiftieth course of masonry representing the jubilee which everyone in Christ's end-time Bride entered in 1977. All seven Church Ages, Christ's mediation and redemption ended on March 8, 1963. For us, (Gk.) 'chronos' "time is no longer" for we were fully redeemed in Christ on Calvary. Brother Branham said, "Go into the prophet's chamber and watch them seven steps. Where did the guard [William Branham] meet the challenge to bring the comer into the Presence of the King at the top of the steps? Was in the seventh step. There shows that we've got to come again with that same Spirit that was on John; he introduced the Messiah. He was greater than all the prophets; he introduced It. And we've got to come to a place, again, to something that's going to introduce the Messiah. And how will the people that's believing Him know it unless they're constantly in the Word to know what He is! Daniel said, "The wise shall know; but the foolish, the unwise, wouldn't know. They shall know their God." Now, now, how He shall appear in the last days, is to bring the people back to the Word, so that the Bride will know Her Husband, know Her Mate, the revealed Word" (Malachi 4:5, 6b; Revelation 10:7; The Feast of the Trumpets, p. 15:112-113). We are not to look for the Man (Matthew 24:23-27). Notice, 1909 + 68 = 1977, the jubilee and our "going up" (Revelation 4:1-2). The Prophet entered the Prophet's Chamber in 1909 and years later the Lord reveals to him His Message. The Great Step is the "little introduction plank" Brother Branham mentions (God's only Provided Place of Worship, p. 33:217). The Great Step starts at 1909 at point 'A'; rises to 1946 at point 'B.' [Remember the Jewish people was declared a nation [at Lake Success by the UNSCOP Committee on May 6, 1946 (UN docs. A/C.I/P.V.46-57 (May 6-13)], and the Angel of the Lord appeared to me on May 7, 1946 at Green's Mill, Indiana . . . come into the room where I was at, a Man walking. He didn't have wings; He was just a big man, had a white garment down to His feet. And He said that I was born to pray for sick people. And I told Him I was uneducated, illiterate, and I wasn't able to go. He said I'd be praying for kings and monarchs, and Message around the world, a Message that would bring the second Coming of Christ was near . . . THUS SAITH THE LORD, I said, America made her final decision in 1946. Watch, since then. She's gone, and there's nothing left but judgment and chaos (The Handwriting on the Wall, #58-0309)]. The oncomer of the Church Ages is led by the prophet into the Prophet's Chamber at point 'C,' around 1977 (1909 +68). The distance of 68 inches under the Great Step is also included in the 1881 inches of the total length of the Grand Gallery. Leviticus 25:8-13, "You shall count off seven Sabbaths of years, seven times seven years; even forty-nine years . . . You shall consecrate the fiftieth year, and proclaim a release throughout the land to all its inhabitants (Matthew 25:6; I Thessalonians 4:16; Revelation 18:4). It shall be a jubilee to you; and each of you shall return to his own property, and each of you shall return to his [Spiritual] kinfolk, [his first estate in the Word as Brother Branham sang, "Return O dispersed to your own" (Malachi 4:5, 6b; Matthew 17:11)] . . . you shall not sow, neither reap that which grows of itself, nor gather [for sale] from the undressed vines. For it is a jubilee; it shall be holy to you. You shall eat of its increase out of the field. In this Year of Jubilee each of you shall return to his property" [or right redeemed and restored by our Kinsman Redeemer when He claimed the Book, loosed its Seven Seals and revealed their secrets through His Prophet William Branham that we might enter this holy convocation. The work is done, "the mystery of God is finished"—feed your soul and rest in the evening S_O_N-Light of the revelation (Zechariah 14:7; Matthew 24:27-28; Revelation 5:8-14; 10:7-11)]!" By 1977 Divine inspiration had begun to release the revelations of Brother Branham's Message. "Now this messenger of Malachi 4 and Revelation 10:7 is going to do two things. One: According to Malachi 4 he will turn the hearts of the children to the fathers. Two: He will reveal the mysteries of the Seven Thunders in Revelation 10 which are the revelations contained in the Seven Seals. It will be these Divinely revealed 'mystery-truths' that literally turn the hearts of the children to the Pentecostal fathers" (An Exposition of the Seven Church Ages, p. 327:1). God in simplicity has hidden the revelation of our Pentecostal jubilee in plain sight. One must stoop down to enter the Prophet's Chamber. Inside is an amber-coloured granite leaf that represents the Pillar of Fire. A figure called "THE BOSS" projects one pyramid inch from its face and is offset from the center by one inch to show there is an imperfection because the Cross would never have been had Satan not rebelled bringing the fall of himself and mankind (Pastor Morris R. Ungren, The Mount of God, The Story of the Great Pyramid, p. 12-15). One pyramid inch equals one year. This is the key to understanding the lineal measurements of the galleries and mysteries of the Great Pyramid or Bible in Stone as the unwritten Seventh Seal is the Key to understanding our printed Bible. Both attest "Christ is the mystery of God revealed" (John 1:1, 14; Revelation 10:7). Like "the Stone cut out of the mountain without hands," the granite leaf will fall at the Seventh Trump and smite five ten western toes of Judaeo-Roman iron and five eastern toes of Judaeo-Communist clay (Daniel 2:31-45). From Egyptian hieroglyphics in "The Book of the Dead" our late Brother Ungren learned that the BOSS represents Christ's Bride as a full loaf of wheat bread "baked with leaven as firstfruits to the Lord" (Leviticus 23:17) to be waved before Him as a consecration of the whole harvest in the manifestation of the Sons of God "when the Day of Pentecost has full come [again]." Then "we who are alive and remain" will be glorified, and rid the leaven of this sinful flesh, caught up to meet the Lord in the air. The New Testament is written in Greek: the letters Alpha and Omega that form the BOSS on the granite leaf in the Prophet's Chamber guarding the way to the King's Chamber signify "Jesus Christ the same yesterday and today and forever" (Malachi 3:6; Hebrews 13:8). The BOSS is crowned by a nimbus or halo signifying the hill of sunrise—a new day had dawned, and the rainbow signifies the second or (Gk.) 'parousia' Coming of the Son of man—the glory of God (Matthew 24:37; Revelation 10:1) who is the Alpha and Omega. Our English word pyramid is from the Greek 'pyramis' (pl. pyramides), a wheaten cake. It is said that this word 'pyramis' was used to describe these ancient Egyptian structures because they reminded the Greeks of pointy-topped wheaten cakes. The Egyptians had a conical bread loaf called 'ben-ben,' which was also the word for the capstone of a pyramid or the tip of an obelisk—'ben-benet,' named after the 'benben' stone, the sacred icon in the temple of Heliopolis, the oldest centre of the sun cult. In "The Seventieth Week of Daniel" (p. 116:200-212) the Prophet mentions a second "great tragedy" or "tragic era," the destruction by fire prophesied by Adam and recorded by Josephus, stating "this great consummation or great thing would take place here in the United States, some great horrible thing . . ." (Malachi 4:1; Matthew 11:12; II Peter 3:7-11; Revelation 16:16). "Now, then after that [union of church and state in the US under Judaeo-Roman Church dominance] I turned and looked, and I saw this United States burning like a smoulder; rocks had been blowed up. And it was burning like a heap of fire in logs or something that just set it afire; and looked as far as I could see and she'd been blown up. And then the vision left me. Five out of the seven has happened". Teaching "The Seventieth Week of Daniel" in 1960 the Prophet said, "Now, counting the time, we find that we have exactly (Listen.) seventeen years left, [the number of Spiritual perfection] and we will have the same span of time given to us as God dealing with us in the power of the Holy Spirit since AD33 until 1977, the same span of time of 1954 years [Genesis 12:1-4, 1921BC + 33AD = 1954 years]. God deals with us the same as He did with the Jews. See? How about that" (p. 115:195-201)? 1960 + 17 = 1977 and Israel's seventieth jubilee; 40 jubilees x 49 = 1960 + 17 = 1977. Thus 1977 + 49 = 2026 + 1 = 2027 and Israel's seventy-first jubilee, therefore the Church must go Home in 2020]. "Oh, brother, give me a church full of the Holy Ghost. God will do in one year [Nisan 14, 2019 to Nisan 14, 2020] what all theology's failed to do in two thousand years. You wait till the anointing of the church really strikes home to that faithful the little remnant. After the doors of the Gentiles is closed, oh, God will anoint a church then. "He who's filthy, let him be filthy still. He who's righteous let him be righteous still, and he who's holy let him be holy still." And God will anoint the church with the power of God, and things will be taken place. Not only that then, but He's doing it now" (COD, p. 145:203). "Now, mark down in your book a little Scripture here I want to give you. Leviticus 25, begin with the 8th verse. God calls a jubilee every forty-ninth year; the fiftieth year was the jubilee. We know that. We understand that. From the first jubilee of Leviticus 25:8, in 1977 will be the seventieth jubilee, making exactly 3,430 years. Jubilee means the going up, the release". "And here comes around and shows, and then I predicted . . . I never said the Lord told me that, but standing that morning in the church, I said, "The way progress . . ." I got back to one end of the wall and run to the other end of the wall, and I said, "The way progress is going on, I'll predict that the time (I don't know why I'm saying it. )—but I predict that that'll all happen between right now, 1933, and 1977. And not knowing it, God knows my heart, I never knowed it until yesterday, that 1977 is the jubilee, and exactly the same amount of time run out that He give with Israel and everything at the end. So we're at . . . And here we are at the end of the age, at the coming in of the seventieth week. We don't know what time that the church will be gone. Oh, my. What can we do, friends? Where are we at?" (The Seventieth Week of Daniel, p. 115:196-202, 212-213). Galatians 3:16-18, "Now to Abraham and his seed were the promises made (Luke 1:55; Romans 4:13, 16; 9:4-5). God did not say, And to seeds, as of many [as if there was one seed before the Law, another under the Law]; but as of one, and to your Seed, which is Christ. What I am saying is that the Law, which was four hundred and thirty years after the promise, cannot invalidate the Covenant previously ratified by God so as to disannul and make the promise of none effect. For if the inheritance is based on law, it is no longer based upon promise: but God granted it to Abraham by means of a promise" (Genesis 12:1-4, 21:5). Brother Branham said, "From the time God made the promise to Abraham. (Don't miss this). [In other words, don't settle for the "letter" of a second-hand religion, "for the letter kills, but the Spirit gives Life . . . Prove all things . . . and make your calling and election sure"]. From the time God made the promise to Abraham, Genesis 12:3, to the time of Christ being rejected in AD33 by the Jews according to Galatians 3:16 and 17, and according to Ussher's chronology of the Hebrews, the power of God was with the Jews exactly 1954 years. God dealt with the Jews 1954 years according to the chronology of the Jews and according to Galatians 3:16 and 17. I got many more Scriptures . . ." (The Seventieth Week of Daniel, p. 115:195). Abraham was a Hebrew and the great grandfather of Jacob whose name was changed to Israel. And he was the great, great grandfather of Jacob's son Judah, progenitor of the Tribe of Judah and the Judahites commonly called "Jews." A common misunderstanding of Biblical chronology is that the children of Israel were slaves in Egypt for 400 years is based upon Genesis 15:13: "And God told Abram, Know of a surety that your seed shall be a stranger in a land that is not theirs, and shall serve them; and they shall afflict them four hundred years." And Acts 7:6, "But God spoke to this effect, that his offspring would sojourn in a foreign land; and that they should enslave, and evil entreat them four hundred years". Then Exodus 12:40-41 prophesies, "Now the sojourning of the children of Israel, who dwelt in Egypt, was four hundred and thirty years. And it came to pass at the end of the four hundred and thirty years, even the selfsame day it came to pass, that all the hosts of the Lord went out from the land of Egypt." This does not imply that the children of Israel dwelt in Egypt 430 years for as Paul explains, this period extends from the date of God's Covenant with Abraham until the exodus. "What I am saying is that the Law which was four hundred and thirty years after the promise, cannot invalidate the Covenant previously ratified by God so as to disannul and make the promise of none effect" (Galatians 3:17). We know that Jacob and his family entered Egypt 215 years after God's promise to Abram in Genesis 12:1-7, half way through the 430 years. Moreover we know that Joseph was 39 at that time and lived another 71 years to the age of 110. From Exodus 1:6-8 we learn that Israel was not enslaved until after Joseph died. "And Joseph died, and all his brethren, and all that generation. And the children of Israel were fruitful, and increased abundantly, and multiplied, and waxed exceeding mighty; and the land was filled with them. Now there arose up a new king over Egypt, which knew not Joseph." Subtracting 71 from 215 leaves 144 years, the maximum time Israel could have been enslaved by Egypt. (For a more fulsome excursus see Israel, God's Timepiece). The fact that the children of Israel were only in Egypt for 215 years is also consistent with the genealogy of Moses. Born 80 years before the exodus from Egypt, Moses was the son of Amram, the son of Kohath, the son of Levi (I Chronicles 6:1-3). Levi was one of Jacob's 12 sons and the grandfather of Moses, who was already born when Jacob and his family entered Egypt (Genesis 46:8-11). Kohath lived to 133 years and his son Amram lived to 137 (Exodus 6:18-20). Even if Kohath was only one year old when they entered Egypt, and Amram and Moses were each born in the last year of their father's lives, then the maximum time Israel could have been in Egypt would have been 133 + 137 + 80 = 350 years, still well short of the traditional 400 years. According to Exodus 12:40, "the sojourning of the children of Israel who dwelt in Egypt, was four hundred and thirty years," so the prophecy of Genesis 15:13 commenced with the call and Covenant in Genesis 12:1-4 when Abram entered Canaan at the age of seventy-five, four hundred and thirty years before the Law was delivered at Mount Sinai (on the Day of Pentecost) fifty days after the Exodus. Paul explains this in Galatians 3:17, "The Law that came four hundred and thirty years after the giving of the promise cannot invalidate a Covenant that has been previously ratified by God, so as to annul the promise." Thus the prophecy commenced thirty years before the "affliction" of Abraham's seed "in a strange land". I believe God allowed Brother Branham to speak in the vernacular in order to protect his life. As he said himself: "I trust that God will reveal this. And each time, if you who take the tapes and listen, and I hope and trust that you have had a spiritual understanding of what that God has been trying to get over to the Church without saying it right out. See? It's a thing, sometime, we have to say things in such a way that it might thin down, it might bring some to go out, some to leave, and some to ponder over. But that's done purposely. It must be done that way." "Then it might be that some would say, "You mean God would purposely do a thing like that?" He certainly did. He does yet. He said one day, when He had thousands around Him, He said, "Except you eat of the Flesh of the Son of God, or Son of man, and drink His Blood, you have no Life in you" (The Unveiling of God, p. 5:22-24). Brother Branham was the greatest prophet since Enoch who warned of the Flood. Brother Branham "proclaimed the day of vengeance of our God" warning us to escape the "tragic era" of consummation by nuclear fire prophesied by Adam (Isaiah 61:2b; Malachi 4:1; 3:2-3; Isaiah 9;18-19; II Peter 3:10; Matthew 24:22; Revelation 10:8-11). He "finished the mystery of God" and introduced Christ's second or (Gk.) 'parousia' Coming. If we are Christ's end-time Bride our Church and person will match His Prophet's instructions in Conduct Order and Doctrine in the Church which are THUS SAITH THE LORD in black and white. Clearly some Churches have far too large a congregation, few of whom harbour hope or interest in election but enjoy our non-threatening ambience as a social occasion, free entertainment or self-worship. Paul told the Athenians, "I perceive that in all things you are extremely reverential, greatly addicted to the worship of invisible powers" (Acts 17:22). The Prophet warned us that the coming economic collapse will be WORSE than the Great Depression (Jezebel Religion, p. 22:100). God's Church is the Body of Christ not a charity or religion. The fivefold ministry is for "the perfecting of those who are saints and to strengthen those who are in the Body of Christ" (Ephesians 4:11-24). Should ministers submit to and insist each congregant "Stay in line" with Paul's Conduct Order and Doctrine in the Church as the Prophet of Malachi 4 screamed before the vision of the Omega Bride passed (The Rapture, p. 40:198-203)? This "might thin down, might bring some to go out, some to leave, and some to ponder over. But that's done purposely. It must be done that way." Start obeying this instruction today, otherwise our churches will become charities for a mixed multitude of religious "whomsoever wills" like the apostate world church system, and unable to attend to those who are saints. In summary: Historically and chronologically God's three Bibles are in agreement. 1960 + 17 = 1977, the Seventieth Jubilee; 1977 was 3,430 years from Leviticus 25:8 (numerology; Matthew 18:21-35; Galatians 3:16-17; Hebrews 12:17). Our Pentecostal Jubilee should be 2020 typed by Matthew 27:50-53, seven years before Israel's rebirth and the consummation (Daniel 9:24-27). Nisan 14, 2020 – 1 = Nisan 14, 2019—"God will do in ONE YEAR what all theology's failed to do in two thousand years." Rest . . .